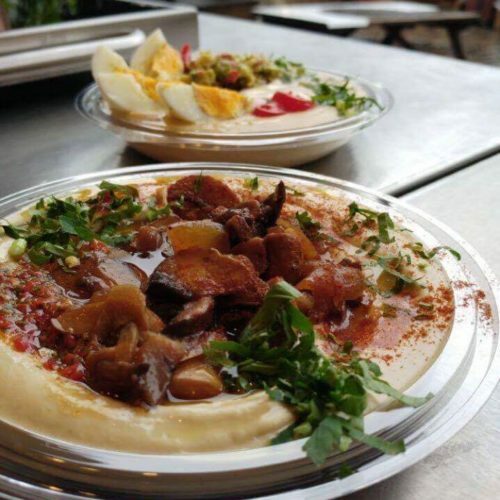 From the hands of the talented team behind Cafe Loren comes Hummus Lina, a large takeaway stall in Camden market serving up hot hummus with pita baked on site. For just a fiver you can go for the classic plain Hummus Lina or Hummus with Mushrooms topped with a mixed mushroom stew and roasted onions with paprika and parsley, or Hummus Guacamole topped with red beans, tahini, guacamole, red peppers, coriander and chilli. Using a recipe handed down by the owner’s grandmother, Hummus Lina is a great addition to the regenerated food scene in Camden.